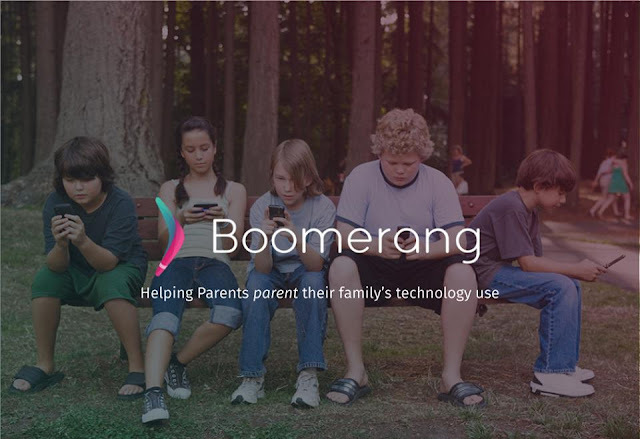 **Today I'm partnering with the complete parental control app, Boomerang, about ways to protect your children from the wild and wicked world of technology, apps, and video streaming. There's no way around it, technology is our children's future. So trying to shelter my son from it, or stand over him every second he's on his iPad or my phone, is no way for either of us to live. Thankfully, some super smart parents, with no desire to helicopter parent their children's tech-time, built a solid solution, Boomerang, a parental control app that runs in the background, making sure your child does not use and app or watch something that's not age appropriate. I can bash technology and the crazy monster it turns my son into when I try to take it away from him, but truth be told, during the cold winter months, my son gets way more tech-time than any other time of the year. It's not only the cure for his cabin fever but also my best shot at any quiet time during the day. I rationalize the extra tech-time by limiting my son to only, learning apps. Of course, I stay within earshot, so when the kid breaks away from spelling to watch Lego builds on YouTube, I can cut him off at the pass. 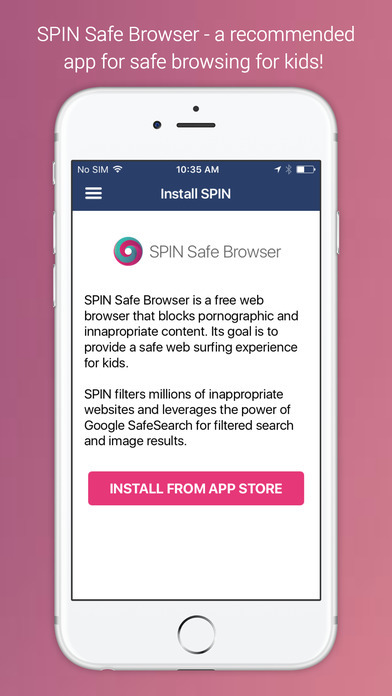 Well, now, thanks to Boomerang, I can leave the room knowing my son is restricted to ONLY the apps I've approved. Seriously, this app is fantastic. The first time I downloaded Boomerang and set up Ollie's restrictions, I thought I somehow did something wrong and deleted all of my apps because they were missing. It turns out, Boomerang hid them from him! 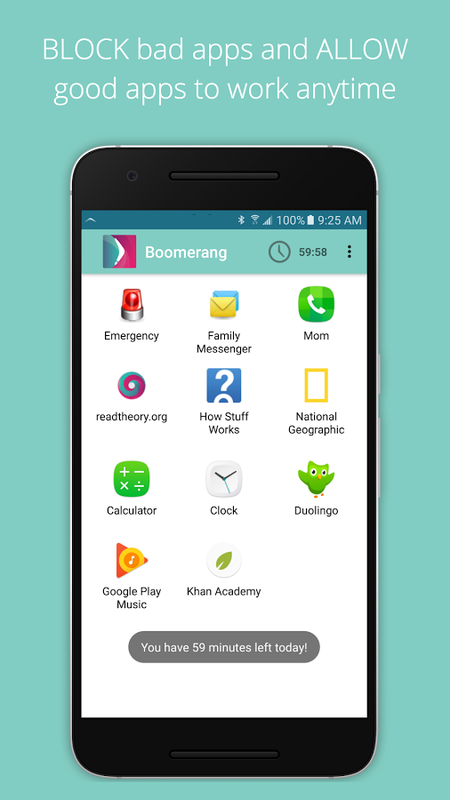 The Boomerang app gives me total tech control, so when my son is on my phone, apps he is not to use are hidden. (Finally, my social media accounts are finally safe from him unfriending people, or worse, friending random strangers! One of my favorite features is the ever important timer! Sometimes I'm not sure who needs the timer more, the kid or me. Both of us can get carried away and before I know it, and hour has passed. Just by looking at my son I can tell he hasn't blinked in twenty minutes. SO BAD! The timer is key. Plus, it kind of fights the end-of-tech-time-battle for me. Boomerang is easy to set-up, and in a way, takes on the tech battle with your child, so you don't have to. 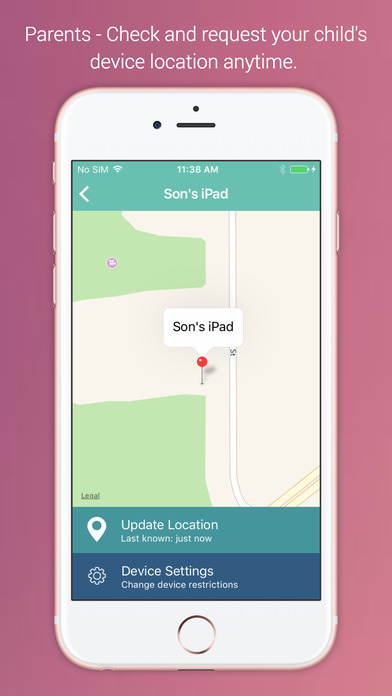 The app even tracks devices, so at all times, you know exactly where your family is. I really can't stress it enough, get control of the Tech-monster in your house as early as possible. The sooner boundaries are set up, the less of a struggle you'll have keeping your child from your apps, games, age-inappropriate material and dodgy YouTube videos of dumbasses riding in the bed of a truck through a car wash. Seriously, my son doesn't need any more bright ideas. 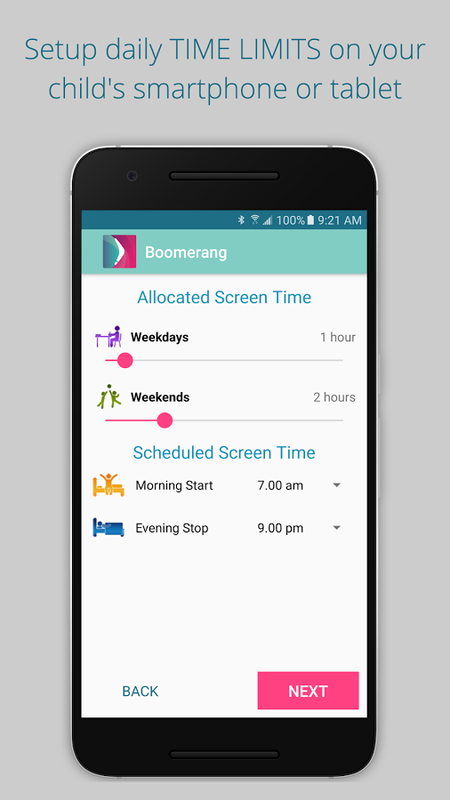 To learn more about the Boomerang app, visit the website, here.